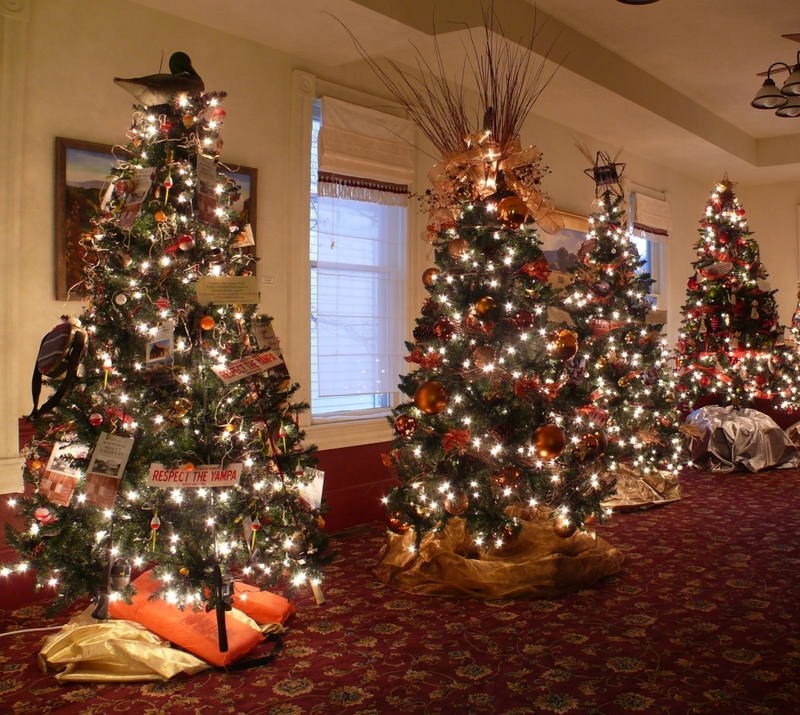 Don't miss the 24th Annual Festival of Trees from November 17-26 at the Tread of Pioneers Museum. 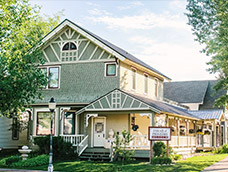 Yampa Valley Bank and Steamboat Ace Hardware are once again showing their devotion to the museum and our heritage by generously underwriting all of the costs for this fundraising event. This family-focused, pre-holiday tradition transforms the museum into a sparkling forest of holiday trees uniquely decorated by creative local organizations such as Yampatika, Soda Creek Elementary's second grade class, the Ladies Recreation Club, and more. The Festival is the museum's primary fundraising event, and proceeds support museum preservation and educational activities. We hope to have over 25 trees this year. We would like to thank all of the decorators and local business sponsors who make this event possible. Nearly 50 groups, organizations, school and businesses, along with the museum's volunteer corps, come together to make this a true community event. Festival of Trees offers something for everyone. The Festival is a great opportunity for families to take their holiday photos in the trees for Christmas cards or to send to the grandparents. While you're here, vote for your favorite tree, go on the Scavenger Hunt in the Trees by using historical clues to find the hidden treasures in the trees, and enter win prizes. All local families are invited to Pioneer Christmas Story-time for Kids on Saturday, Nov. 24 at 11:00am. We will host all local area senior citizens for cookies, cider, and live music provided by the Emerald Mountain School musicians, at the Senior Tea on Tuesday, November 20 at 2:00pm and 3:00pm. You can also get your holiday shopping done early in the one-of-a-kind Museum Store where you'll find locally-made products, historical photographs, books, and toys that will delight everyone on your holiday shopping list. With the generosity of our sponsors, all Festival of Trees events are FREE to all Routt County residents. Don't miss the light and magic of the Festival of Trees! enjoy refreshments and live music while mingling in the beautifully decorated trees. Don't miss the fun! No RSVP required. During the Festival of Trees, enjoy pioneer and Victorian holiday traditions and stories for kids. While you're here, take holiday photos of the kids in the trees to send to the grandparents and get some early holiday shopping done in the Museum Store! Don't mis the fun! Ages 4 & up with adult. FREE! Steamboat Springs � Blending Routt County history with non-traditional perspectives, the 22nd annual Festival of Trees will open to the public Saturday, Nov. 12 at the Tread of Pioneers Museum in Steamboat Springs. STEAMBOAT SPRINGS � The Christmas spirit will be aglow this weekend at the Tread of Pioneers Museum for the 24th annual Festival of Trees.